Intelligent processing of transports: Efficient. Safe. Transparent. flow holisticly records and controls the traffic management in chemical and industrial parks. Flexible interfaces with third-party applications and intelligent technology allow the flow system to provide all functions for a continuous and efficient traffic management in real-time. The flow modules are building blocks that can either be combined into the flow eco system or can be used as a standalone functionalities. flow integrates newest innovations with existing technology – and controls processes for optimal efficiency and value. Highest process safety and full transparence are ensured. 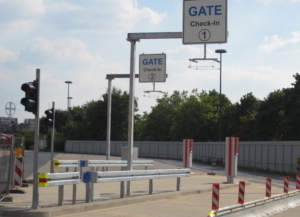 Using RFID identification, drivers as well as associated transport orders are automatically identified while approaching the gate. 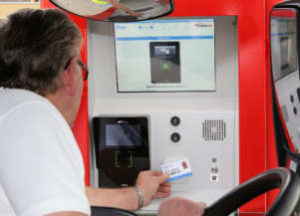 Drivers are identified using biometric identification at the self-service terminals without leaving the vehicle. flow records all printed documents of a drive during the transport processing in the plant. During exit, the documents are printed automatically for the driver to collect them. 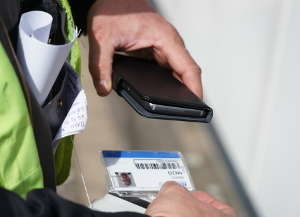 The driver logs into the flow system using the flowcard and an NFC-capable smartphone. 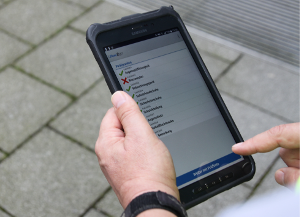 The weighing voucher is automatically stored in flow and is sent to the driver via email to the smartphone. In the flow Cloud we develop logistics services being fully compatible with the standard flow functionalities. After registration they can be used completely flexible and are paid per use – without investment costs. Comfortable, with assured data integrity and protection, guaranteed service levels and continuous functional development. Developped together with our partner GBK Gefahrgut Büro Ingelheim, TP1 offers 24/7 real-time service for the caption and provision of documents in accordance with the EU Terms. 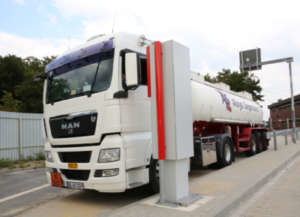 The recording of the truck and driver data, including a secure digital transaction, documentation and storage of ADR checks is available as a service as well. 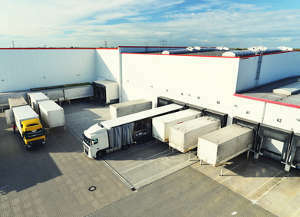 Allocating and booking of slots as well as controlling loading bays: further functions are offered as a full-featured service including recording procedures of all processes and involved parties.